Set your alarm clocks in your respective time zones for the Stark Sale on One King's Lane Thursday morning. 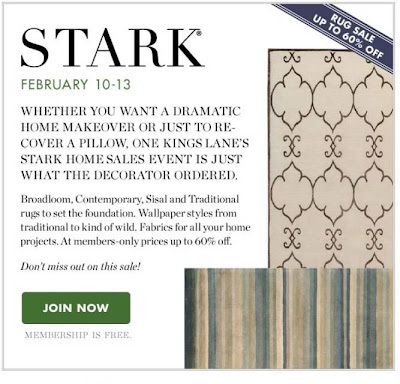 Yes you heard me, fabric, wallpaper, upholstery and carpets will be on sale for up to 60% off retail prices. 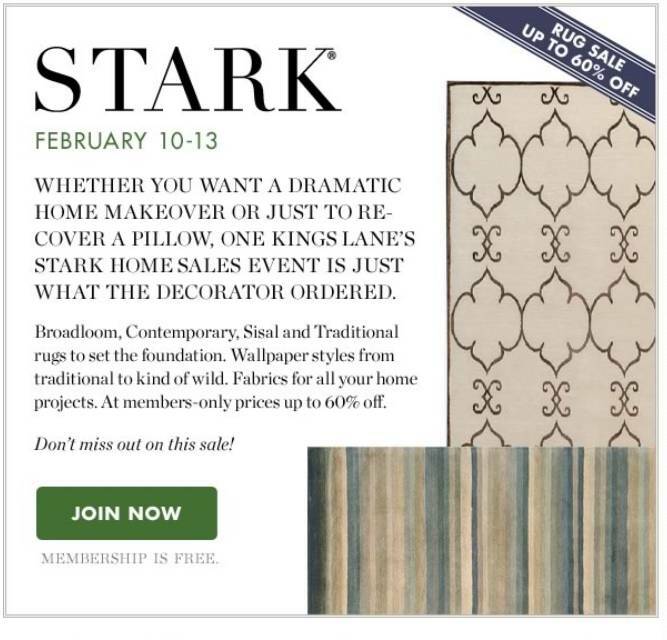 I am always wonderfully happy with the quality of all Stark products and if you are not a member already of One King's Lane you should be, just click here to join! Here is a sneak peak photo of a nursery which I finished a few month ago in which we used a Stark carpet. See how it just finished off the space perfectly and makes it feel more cozy and unified? 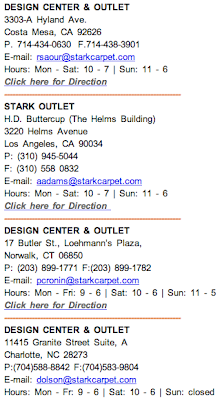 And if you miss the sale you can always stop by your local Stark Closeout or check their website for Online specials. 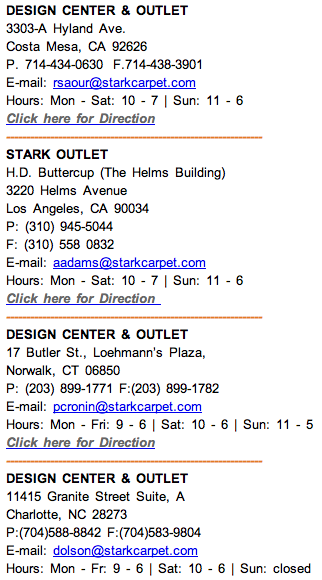 Stark carpeting is one of the best! Adore their offerings!